Forgive me for starting with a banal question; what did you want to be while growing up? 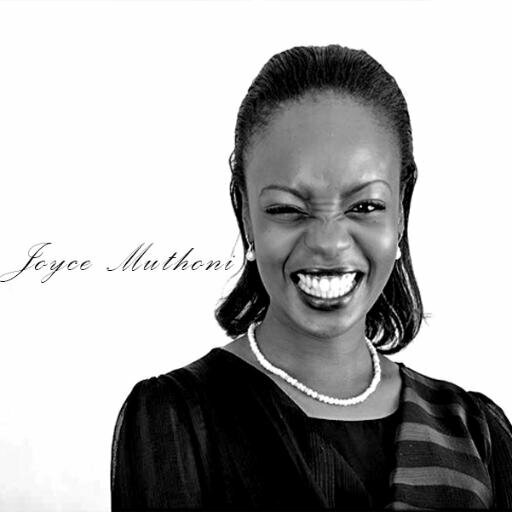 29 years old Joyce Muthoni dream was not to become a doctor or a lawyer like most of us imagined we would be in our later years. “I always wanted to be a business person. Whether it was buying a fleet of matatus or opening a kiosk, the idea of starting a business was always ingrained in my mind since childhood,” she shares during an interview at her offices along Riverside Drive. The first born of three siblings admits that while she hails from an artistic family, she never bothered to follow that path herself. Determined to follow her own path, Joyce pursued a business course at the United States International University but unlike most graduates, she wasn’t caught up in the rush of looking for her first job after campus. That’s why after graduation, she made Google and her networks her closest friends and started doing research on the kind of businesses she could start with her marketing degree. Contrary to the believe that you need whole load of cash to start a business, Ms Muthoni admits to starting her lucrative venture with almost zero capital. The 29 year old who decided to put her dreams first at the expense of a graduation party became the proud founder and Managing Director of Proteque Consulting Firm. But as she tells it, the journey of keeping her dreams alive hasn’t been all rosy. And as is the case with most young employers, she made a dire mistake of hiring candidates without job descriptions an idea which she says failed miserably. She also admits to being unable to delegate duties to her employees since she wanted to be involved in everything. Speaking of employees, what does she look for when recruiting for her consulting firm? If her client list is anything to go by, then she sure is doing well for herself. And what’s her advice to young people? She reckons that this gives one the experience of getting to know the ins and outs of how things work.